It’s done! Carroll Industrial Molds decided today to commit to a long-term plan of replacing all of our existing CNC machining equipment with Haas Automation CNC machines. We currently have a variety of machining equipment including Milltronics, YCM, and Haas. Hands down, we believe Haas HFO Chicago can and will provide the exceptional technical support and on-site service that CIM, as a small rural business, requires to remain competitive in the mold-making industry. 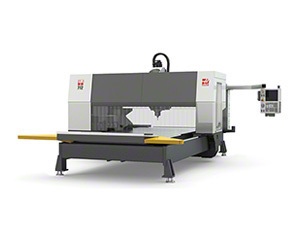 As a first step we have placed an order for a new Haas GR-712 gantry mill for delivery in the next few months. This machine is a 3 axis machine with 20 station tool changer and a 7ft. x 12ft. (yes, foot) capacity. We’re looking forward to placing this machine in service and building a long and fruitful relationship with Haas Automation.